Elizabeth Raby and Scott Wiggerman will appear together Sunday, November 22, 2015, Santa Fe, New Mexico, at Teatro Paraguas, 3205 Calle Marie, at 5:00 p.m.. They will be promoting their Purple Flag books. 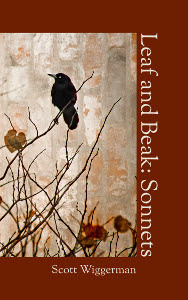 Leaf and Beak by Scott Wiggerman: Scott Wiggerman is the author of two books of poetry, Presence and Vegetables and Other Relationships, as well as the editor of several volumes, including WINGBEATS: EXERCISES AND PRACTICE IN POETRY (Dos Gatos Press, 2011) and BIG LAND, BIG SKY, BIG HAIR. He has published widely in journals such as Comstock Review, SPILLWAY, Southwestern American Literature, Switched-on Gutenberg, and Hobble Creek Review (which has twice nominated him for a Pushcart); to anthologies such as City of the Big Shoulders, Among the Leaves, Two Southwests, Collecting Life, and This New Breed; to nonfiction texts such as Poetry as Spiritual Practice, The Book of Forms, and Poem, Revised. A popular instructor of poetry workshops, Scott is chief editor for Dos Gatos Press, publisher of the Texas Poetry Calendar. poems from her several collections and from her new manuscript, Dragging A Long Tale. 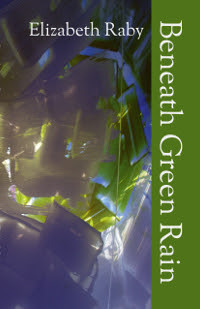 She is also the author of the cross-genre work RANSOMED VOICES (Red Mountain Press, 2013). Winner of the 2010 Elmer Kelton Award for poetry (Angelo State University), she has been nominated several times for the Pushcart. Raby is a fellow of the Virginia Center for the Creative Arts. She serves on the board of New Mexico Literary Arts. Elizabeth is the author of four full-length poetry collections: Beneath Green Rain, This Woman, Ink on Snow, and The Year the Pears Bloomed Twice, as well as four chapbooks. Her poems have been included in numerous anthologies, journals and have been translated into Romanian and Chinese. Readers are in good hands here. The sonnets, seventy-five of them, flow so smoothly you can forget you're reading a sonnet and just let the images take you in, the rhythms move you forward. The poems of Leaf and Beak are quiet poems, reflective poems, poems that ask you to walk in stillness for moments at a time, to absorb "the hidden in full view," to appreciate "a lone green leaf / that hangs on like a weekend birthday, deaf / to bitter winds." Wiggerman moves from the observed image, letting some details turn him inward while others lead to meditations on his fellow beings, on the world he walks. "What will / tomorrow bring that now cannot be seen?" he asks. "What change, what wonders to discover?"